Apply once or twice daily as prescribed by your Certified SOS™ Skin Correction Specialist. Limit exposure to sunlight by using SOS.13 SunGuard Face Block™, and covering up with protective clothing to prevent darkening from recurring. This product may darken over time. This is normal and does not affect product efficacy. This important lotion contains Hydroquinone, a proven, highly effective skin lightener that reduces pigmentation caused by sun, aging, acne and pregnancy. 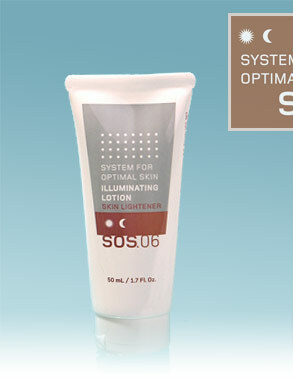 SOS™ Illuminating Lotion also contains Salicylic Acid to contain and prevent blemishes, plus moisturizing and healing ingredients such as Allantoin and Vitamin E to counter any irritations that may occur. 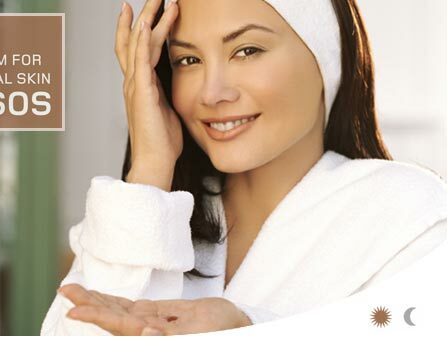 The addition of Vitamin A (Retinol) also helps to reduce the appearance of fine lines and wrinkles.